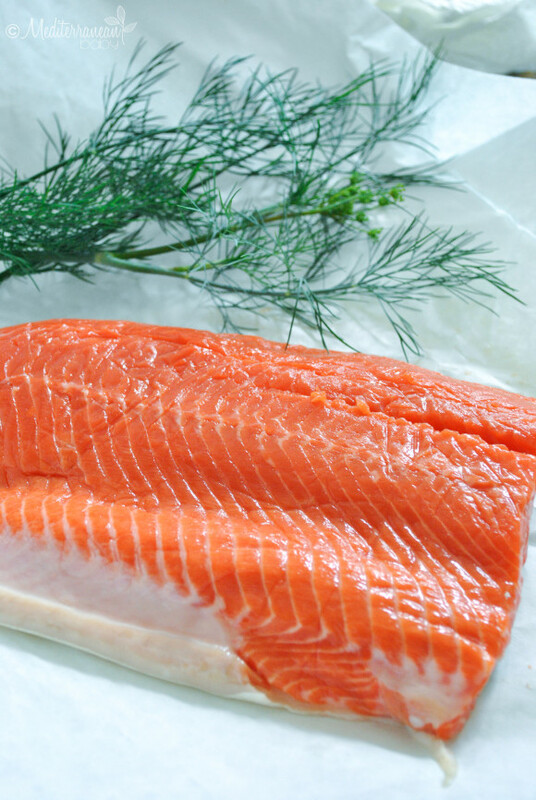 ‘Tis the season for Copper River Salmon from the Pacific Northwest! Harvested from the Copper River in south-central Alaska during May and June, this tremendously rich, flavorful fish is packed with Omega 3 fatty acids and Vitamin D. I look forward to preparing this fish every year and know, beyond a shadow of a doubt, that I am fueling my family with tremendous health benefits. 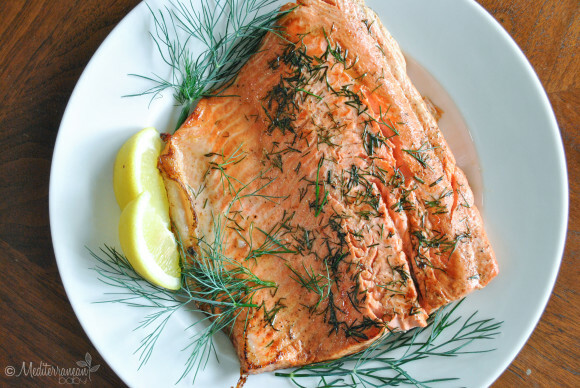 This year, I prepared it quite simply with olive oil, dill, and a splash of white wine and lemon juice. It is naturally full of flavor, so less is more in the preparation. To learn more about the harvesting, nutritional value, and sustainability of Copper River Salmon, please check out CopperRiverSalmon.org. 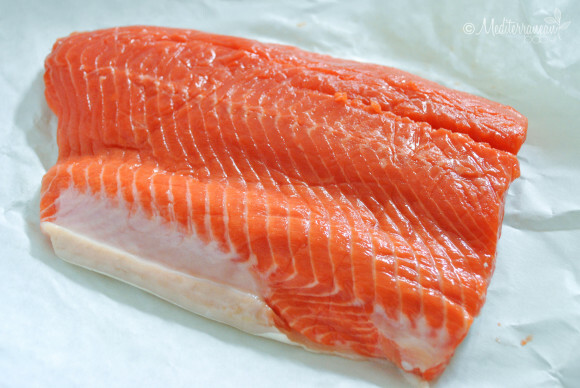 The site will even help you locate restaurants and stores that are offering Copper River Salmon near you! In a large skillet, heat olive oil over medium-low heat. Add the salmon to the pan, skin side down. Do not move the salmon. Instead, busy yourself seasoning the flesh of the salmon with a sprinkling of salt and pepper and a ton of freshly torn dill. Allow the salmon to sear for five minutes. Add white wine to the pan and the juice of 2 lemon quarters. Gently flip the salmon filet over. Continue to sear for another five minutes. 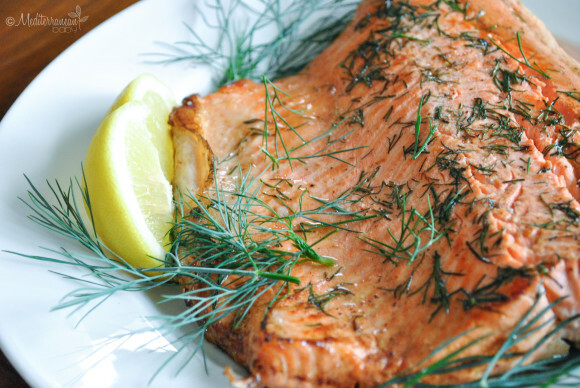 Remove from heat, plate and garnish with dill and remaining lemon quarters.